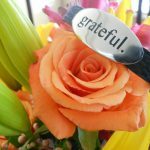 Home - my surrogacy journey… oh yeah and SURPRISE I’m a surrogate mommy. my surrogacy journey… oh yeah and SURPRISE I’m a surrogate mommy. Yep that is me. That 6 month old baby bump is mine… but the baby boy rolling around inside is not. I am simply his very first babysitter. I am a surrogate mother. A very proud surrogate mother at that. For as long as I can remember becoming a surrogate has been a dream of mine. Hearing about it on talk shows or in books I was always drawn to the idea. After the easy pregnancies of M and M… and the clear decision that our family of 4 was complete… I began to realize that this dream might just become a reality. A little over 2 years ago I started talking about it, I wanted to let it settle in for those it would affect. My husband (of course), my sisters and my Mom would play a big roll in making this journey not only possible but also extremely positive. Hubby said what he always does. “Whatever you want to do Babe.” He meant it too. Although he may not feel as connected to the process as I am, this is a gift from him as well. He’s been supportive (listening to me complain about meds and appointment, dealing with me while I crashed off coffee and being just as excited as I am over the silly prego stuff). Gosh am I a lucky girl! I found an agency and got started. The process began in November of 2010 when I filled out the very long profile. I spent the next year working with an amazing couple. After 2 failed transfers. 🙁 They decided to take a break from their surrogacy journey in January of 2012. I was paired with a new couple shortly after and took a nice little bed rest vacation for my first successful transfer. I found out I was pregnant the same week my eBook was released. How’s that for timing??? I was exhausted and my head was spinning with excitement. So here we are more than half way through the pregnancy, me tossing clothes that no longer fit out of my closet at an alarmingly quick rate … the couple planning for an early 2013 arrival. Everyone happy, excited and waiting patiently. I was right about this being a dream. It feels so right. Surrogacy has turned out to mean so much more than helping a family grow. For the IPs (intended parents) the surrogacy journey means giving up a lot of control and putting a lot of trust into the hands of someone else. That means that being a good little pregnant girl and following all the doctor’s orders isn’t my only job. I’ve been able to offer support, confidence and even a little advice. This “job” is perfect for me. I will soak up every drop of it while I can and enjoy the memories later. Becoming a surrogate was one of the best decisions I’ve ever made… and I am so grateful for the opportunity to make this dream come true! Feel free to ask anything you’d like in the comment section or email me if you would rather. Starting out with the first couple was scary, nerve wracking and amazing. I worked closely with the IM (intended mother) for about a year until they decided to move on. We talked often and became really close. The second IM (the one I’m paired with now) and I hit it off right away. We are both crazy planners so you know, we pretty much drive everyone else crazy but you can bet everything is done on time! I kind of like that we don’t know every little detail about each other. That would probably make the process a lot different. How are the kids handling it? If you’ve been here before you know my kids are pretty much awesome… and independent… and smart… and kind… and well you get the idea. They are handling it better than I ever expected. I think this may be a post of it’s own… stay tuned. Does it pay well? It does pay….and it has certainly helped us out. 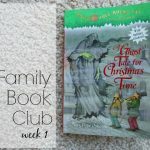 It gives us the extra we need to make it possible for me to be at home with the kids. If you can’t tell, by this blog that is just now starting to bring in a little bit of money, I’m not really driven by a paycheck. So the pay is fair, but not something you can live off of. DON’T DO IT FOR THE MONEY!!! Don’t you think it will be hard to give away a baby you’ve carried. This one is the easiest for me to answer. It’s really no different than any other babysitting or teaching job I’ve ever had. I love those kids, take the very best possible care of them, cry a little when we part, remember them fondly and wish them well. Of course it’s hard to say good bye. But everyone goes to Kindergarten eventually and you make room for a new group to love. What’s the hardest part of being a surrogate? No beer! Ha, bet you didn’t expect me to say that. 🙂 Well I’m kidding (sort of). When I say I don’t even feel pregnant I am serious. (Aside from being winded a little quicker than usual this little guy is not slowing me down.) The meds and amount of appointments in the beginning were tough, but they were short lived. I managed just fine. There was about 2 weeks of nausea and sheer exhaustion… other than that I feel FANTASTIC! Of course how I feel physically is not really what this question is about. Emotionally the hardest part is the moving baby. For me, feeling a baby move is the very best part of pregnancy. When I was pregnant with M and M I would just sit, enjoying the movement… knowing that was a special time that only I had with them. Imagining what those movements would look like in a few short months. I have always felt a tinge of sadness that men (and some women) won’t know the feeling. Big M summed it up when he said “I wish I could be you for a few minutes so I could feel the baby move, then go back to being me so I didn’t have to do all the yucky stuff.” Ahh 7 year old wisdom. It is hard that his mama isn’t getting this part… I try to enjoy it enough for the both of us. Would you do it again? A good question and one I’m sure you will understand involves a lot of “ifs”. IF everything continues to go as well as it is. IF Hubs is still on board (Whatever you want Babe.) IF the doctor clears me again. IF the kids are okay after it’s all said and done. Yeah I’d do it again, but I think I’ll stick with the two couples I’ve already gotten to know. Although changing couples wasn’t traumatic by any means, it was emotional. There is a lot invested in these families and IF they want me to try again for them I will probably say yes. Otherwise I will happily check SURROGACY off my life list and move on to the next big thing. So there you have it… my surrogacy story. Did I shock you? Do you have a ton of questions? I’m not shy… ask away. Wow, what a brilliant post!! Firstly, I am in awe of you being a surrogate. I think you are amazing and I bet the family you are helping will be eternally grateful! Secondly, what a candid, open and honest (and yet super positive) account of your experience!!! Wonderful. I hope you inspire others to do the same (after reading this, I am actually tempted!!!!!). You are amazing, as is your family! BIRTH! It’s such an intimate experience. I can imagine being uncomfortable with two extra people you don’t really know there. And at the same time I can see how the parents would really want to be to there. And how involved are the parents during the pregnancy? Awesome question Brandi! I’m sure the answer is so different for every surrogate / couple relationship. I’m not an extremely shy person and I know the emotional impact those first few moments with our kids had on my husband. (And on myself when I was able to watch 2 of my nieces being born). If it is uncomfortable, and I’m sure there will be uncomfortable moments, the awesomeness of the birth with overshadow the discomfort. You are truly an inspiration! 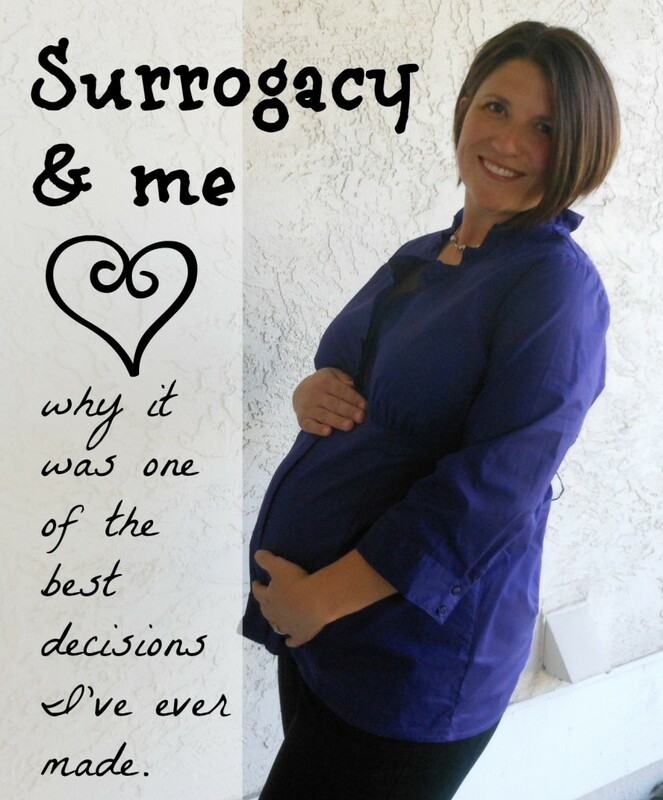 Thank you for taking time to write about what being a surrogate means. I have never read anything that explained it so well and covered all the gray areas so openly. You have blessed us by sharing your experience. Thank you for sharing your story. What an amazing gift you are providing the parents. I greatly admire you for being a surrogate for people you did not know. I have the opposite feelings. My sister and her husband are unable to have their own children and I have offered up my services as a surrogate. I’ll be thrilled if they decide to go down that road. I don’t think I could be a surrogate for strangers though. I had hard pregnancies and wouldn’t go through it again for just anybody. Wow, thanks for being so open about such a personal process! What a lucky family to have been matched with you. Will you stay in contact with the family and baby after its born? I applaud your honesty on this decision and thank you for sharing. Congrats on your second baby! I really don’t know how much contact we will have after the delivery. I think it’s just like any relationship… only time will tell. I’m open to keeping a connection and would love to see pics as he grows up. I know how busy life can be and will understand if that becomes to difficult. I’m so glad you shared your experience with us, Jill. I can imagine how hard it might have been to write this and I’m sure that your story will help others who find themselves in your shoes. What an amazing gift of yourself you’ve given to this family. It’s also nice to know a little bit more about you. You’re an inspiration! No words for this, just slack-jawed awe at your amazing gift. Your attitude and approach to this whole scenario is just so incredibly inspiring on so many levels. Thank you for sharing your story. What a beautiful post. I am amazed and impressed that you are doing this and love hearing your perspective. My second pregnancy was a bit on the tough side and the first one had its challenges as well, mainly with the birth, so that has ruled out surrogacy for me (which was something, pre-pregnancy, I was interested in learning more about). I commend you for doing this and for sharing. I recently wrote about my birthing experience on the 7th when Wild Thing turned 3 and it was really important for me to share. You totally amaze me and it sounds like you’re just the right person to do this. I am proud to be your friend! What a wonderful gift you have given. So happy for everyone involved. You are amazing! What fun to get a glipse of your journey!! And you look stunning! I’ve always wondered how the doctors’ visits and actual birth work with your family’s life. Do the IPs cover babysitting costs as well or do you just need to have super awesome family that’s available at the drop of the hat? Do you have a written contract to cover the what-ifs of the birth? Obviously an un-planned c-section would keep you off your feet a bit longer. Will you pump your first week’s worth of breast milk? Great questions Wanda! Yes, both parties have a lawyer and a VERY detailed contract is signed by both parties before anything happens. The contract covers every type of what if… which I imagine is very difficult for the IPs. They have to think about worst case scenario and try to decide how they would want to handle them. It’s so important to make sure there are not conflicts on these important issues later. The contract covers payment, bed rest, babysitting, travel…. and a lot more. Our pumping plan is 6 weeks to start. They’ve already gotten me a nice pump and I would really like to do it as long as possible…. that said I never pumped with my kids. I was with them so I just nursed. Pumping will be so much different than nursing so I’m making no promises. Also the milk has to be shipped because they live far from me. We don’t know how much of a pain that will be on either end. SO for baby boy, we will do our best to make it work for as long as possible but who knows how long that will be. What an inspiration you are not only to myself but others! Thank you for such an open and beautiful post into the glimpse of surrogacy. There are so many unanswered questions when it comes to surrogacy that you did a wonderful job of answering for everyone. I wish you a healthy remainder of your pregnancy and the couple a healthy baby in the new year! Thank you so much for explaining this process so beautifully. It is amazing that there are so many special ways to create family…and that there are amazing people like you out there that are helping another family’s dream come true. Wishing you peace and blessings as you continue on your journey. Thank you for sharing so candidly, Jill. Surrogacy always sounded so foreign and strange to me until a cousin of mine carried her daughter’s baby years ago. You have both opened my eyes to what a tremendous gift this is. What a reminder to all of us to treasure each precious child and their many different (but always miraculous) birth stories! As a mom who has been through heart ache and hurdles and eventually great joy to build the family of our dreams, your gift touches me deeply. What a lucky child and family to have you as part of their lives if even for a short time. I am moved to tears by your post. I used to get down about infertility thinking nobody understands or cares, but the reality is that there are people like you who do care and care deeply. Thank you. Thank you Rebekah for such an honest comment. I have really enjoyed reading about that beautiful family of yours! So…of course my initial reaction was surprise, but then I remembered who you “are” and it really isn’t that surprising. You are such an awesome woman, which everyone who knows you would agree. I too, would do it as well as be a foster parent, but it does need to be a family decision and you obviously have one great husband. Congrats and keep us updated! Amazing! What an amazing experience for you, your family and the baby’s parents. What an amazing lesson you are teaching your children. Thanks for sharing this story with all of us. I love the way you put it Jen and so far this experience has been even better for my family than I ever thought it would. Thank you. Wow Jillian! Truly a remarkable woman you are!! I knew a little about surrogacy, but after reading your journey I feel the connection and what an amazing journey this must be for you. Amazing!! Thank you for sharing your story with us! What a blessing! You know me… anything I can do to get people learning. 🙂 Thanks! Wow, you are truly amazing! What a wonderful gift you are giving the parents and how truly amazing you and your entire family are for going on this amazing journey together. I wonder how your kids will feel when all is said and done and you hand the baby over after these months of watching your belly grow. I wonder that too. I’m sure there will be a post in there somewhere! Thank you so much for sharing this. As someone who has battled with infertility I can’t tell you how much I appreciate people who do what you are doing. I didn’t end up needing a surrogate but my sister offered and that offer meant the world to me. I would love to read a follow-up post after the birth. How much contact will you have with the family after the birth? Thank you for such an honest comment! Wow, this is so awesome!! I have always wanted to do this, I loved being pregnant and would love to help another couple out who couldn’t have a baby. Children are such a blessing, and how amazing you giving another couple that blessing. How big of a process is this to go thru? Thanks for sharing your story!! It’s a pretty big process. With the first couple we worked at it for a full year including contracts, medical clearance and transfers. With the second couple I was pregnant within months of meeting them… so it depends on the situation for the length of time. The set up (contracts, meds, initial appointments, etc) took far more time than the actual pregnancy. I would love to answer any specific questions you have! Being a Surrogate mother was one of the best decisions I made as well in my life. I too was blessed with a loving a supportive family. What you are doing is such a wonderful thing. Your IP’s are lucky to have found such an amazing women. Spread the word Sista, more and more women need to see the positive in this wonderful journey. You are truly the most amazing woman I have ever known. And from the looks of the above comments I am not the only one that thinks that. I saw this on Pinterest. Caught my eye because I am a surrogate mother as well. In June 2009 I gave birth to twin girls. Will hopefully be starting a new journey with the same family soon. Congratulations! I came across this link from Pinterest and LOVE your post! Perfect timing, too… I am currently traveling for a second embryo transfer for my IPs. We had an unsuccessful transfer back in January and I’m so hopeful that everything goes well this time around. Your post is perfect- when I get “the questions” I think I’ll refer people to your post!! Good luck to you and to your IPs, what an amazing journey!! I just wanted to say I think you r amazing. I am 32 years old & went through early menopause when I was 22 & know the tremendous heartache of not being able to have children. We have been so blessed twice with the miracle of adoption and have two perfect little boys. What you are doing is so amazing & selfless. The world needs more people like you! I have been interested in doing this for years. I had easy pregnancies and have always felt heartbreak for families who can’t raise children of their own. Your story is amazing and Inspiring. What a wonderful gift you are giving to this couple. I am afraid I have waited too long. What age is too old to be considered? I’m not sure what that there is necessarily and “age limit”. I think there are a lot of factors that determine if you are eligible. Kellie at Creative Conception Inc.is really nice, professional and knowledgeable. If you contact her she will be able to tell you if it’s something you can still do. Here’s the website… Creative Conception Inc.
Hi! I am so not trained to answer that question. 🙂 I contacted Kellie at the Creative Conception Inc. and she offered to find me a few good links as soon as she can. She can not speak as a medical professional but to her knowledge there is no correlation between IVF hormones and cancer. As soon as she gets me the research I will post it here. Thanks for asking… I can’t wait to read the articles! Why do you have to take Meds and give yourself shots? I do know that the reason I had to give myself shots, along with take pills, and wear patches is because the meds are given daily or every other day. It would be impractical to go to an appt. for each shot. Some surrogates do them on their own, others have their hubby or a friend do it. I caught this post when Maggie from Red Ted Art retweeted it. We went down the adoption route as I think 10 – 15 years ago, surrogacy wasn’t as easy or as accepted as it is now, and it costs a LOT of money, which It think we spent the equivalent of on IVF if I remember. I have no idea how you do it, or cope with it, but for all infertile women, thank goodness there are people like you. WOW Jillian, amazing story! You are just a wonderful person and that’s it! Thanks so much for sharing this with us. It’s such a fascinating look into a topic I really know nothing about. I hope you write more on it in the future! Good for you! I also would love to be a surrogate, but the amount of medication and hormones you have to take are holding me back. I stumbled upon this post on Pintrest and couldn’t NOT take a look. As a mom of twins via surrogacy, I am always pleased to read positive stories about surrogacy. If not for the gift our friend gave to us (we met because of surrogacy, but were friends long before our journey) we would not be parents today. We will never be able to say “thank you” enough. Please e mail me back I’m thinking of having a surrogate to have my baby I need info and have questions . I came across this on Pinterest. Well done! I am a surrogate too. An old pro, haha. I started way back in early 2007! Since then I have had twins in May 2008 for my first IP’s. Took a break. Worked with my second IP’s throughout 2011 with no success. After that I wasn’t sure if I wanted to “try” again because having a year with a fantastic couple and not being able to help them fulfill their dream was hard on me. But I was told by my agency that a couple was interested and I agreed to at least meet them (in December of 2011). Instantly I knew I would do this again. Fast forward to today and they have a gorgeous 4 month old daughter and we just had another transfer and are anxious waiting for blood work day! If all goes well little S will have a brother or sister by the end of the year! Good luck on this one… I hope your finally surrogacy is as wonderful as the other’s! BTW. A year with no luck WAS a hard one for me too! I have to admit, I’m a bit jelous. I wanted to be a serogate, but then I had fertility issues. I had a nice boring pregnancy for 25w and then all hell broke loose. I ended up with a Micropreemie and a section. My second went great but still needed another section. It is dangerous for me to get pregnant now.. But we will try for one more of our own and that will be my final pregnancy. Thank you for sharing your story! Good luck with your final pregnancy, I hope it is smooth. Hi Jillian, I (me and hubby)am meeting a couple tomorrow night about being their surrogate. I have tons of questions. I guess I need to make a list. Thank you for sharing your story! I enjoyed reading it, and it makes me twice as excited to have this experience myself!!! I would love to email you and ask questions if you don’t mind. I don’t know anyone that has gone through this. I wanted to comment because I’ve been thinking of becoming a surrogate for a couple. I causally mentioned it to my fiancé, though I’m not sure if he knew I’ve been seriously contemplating it. I have a couple questions about your experience. Diet and exercise, for one. Those probably have to be real strict, won’t they? I mean, I did pretty good with my first 2 pregnancies, but I would think it’d be pretty forced on me. Next, would I HAVE to give birth at a hospital? I hate those places lol both of my kids were born in the water a Birth center, and I’d much rather that environment than one of a hospital. Also, do you get to see the baby grow up, or do you just part ways and that’s that, or is that just up to the parents? Lastly, what are the medications they give you? You said there’s a lot. What is it that you need to take, other than prenatal vitamins…. Hi Christine! You have a lot of great questions. 🙂 The truth is when I signed up with the agency they asked me a TON of questions about my personality and what I was hoping for as far as relationship to the family afterward. Every surrogate will be different and every couple will be different. A good agency will help match you with someone who compliments your exercise/ health/ delivery preference and life long goals of connection. As for the meds, they vary as well. It depends on the IVF center but they are pretty serious meds. They have to set up your body so that it will keep the embryo and help it grow. As for your fiance. I would probably just keep bringing it up. I joked about it a lot before I knew it was the right time. Hubby wasn’t surprised one bit when I said I wanted to get started on the process. There is NO WAY I could have done it without his support. Good luck and keep me posted if you decide to go forward. What a wonderful story – my sister in law was a surrogate for me and I will be forever blessed because of her kindness. I guarantee you you’ve given this couple so much joy! That’s great Ellen! What a wonderful journey for you and your sister in law. Hi I’m also a surrogate mother in Nigeria. Here people still view it as terrible. Carrying a child for someone else.. but i love it apart from doing it for the money i derive joy in it cus I kw I’m helping to build a family. I will due January and i still have other couples waiting for me to finish and carry theirs too. But i don’t kw how long to wait before embarking on another journey. Thank you for sharing this! I’m starting my own journey in this as well and with the same agency! Kellie is such a sweetheart♡. I can not agree with you more on the matching as the IP’s I was matched with are perfect for me. We aren’t quite where you are yet, but we’re all very anxious for what’s to come! Congrats Bella!!! It is a very fun and rewarding journey. Have you had any issues with IRS? Surrogacy has given a ray of hope to so many. However, many women are afraid of surrogacy. They are not completely sure that they can trust their surrogate mother. So do i. I`m infertile for many years because of serious operation 12 years ago. Some years ago, I have thought about surrogacy. After reading comments in the net, I was shocked, how many surrogate mothers refuse to give children to the biological parents. That is why ,it seemed clear to me, I need to visit legal specialized clinic of reproductive medicine with a good reputation. And there I will totally receive a high level of service and a good result. Therefore, I decided to look for the best accredited clinics that work on legal basis and have a good reputation. Now I’m between Georgia and Ukraine . Most important for me to agree on appropriate agreements. They must be signed by clinic, surrogate mother and me. It contains information concerning all rights and obligations. Thanks for sharing such a wonderful story, Realy got inspired by our story.